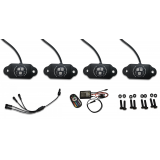 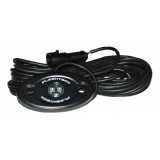 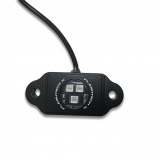 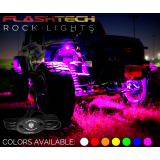 Flashtech Rock Light Kit utilizes high-powered LED's mounted in an aircraft-grade aluminum enclosure to create an incredibly bright and rugged off-road lighting system. 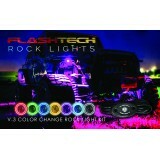 Available in 7 vibrant colors, Flashtech’s Rock Light Kit will allow you to see and your vehicle to be seen no matter what trail you choose. 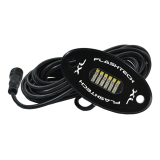 Flashtech Rock Light Kit utilizes high-powered LED's mounted in an aircraft-grade aluminum enclos..
Flashtech's X Rock Light Kit utilizes 3 high-powered 5050 LED's mounted in an aircraft-grade alum..
Flashtech's XL Rock Light Kit utilizes 24 high-powered LED's mounted in an aircraft-grade aluminu..